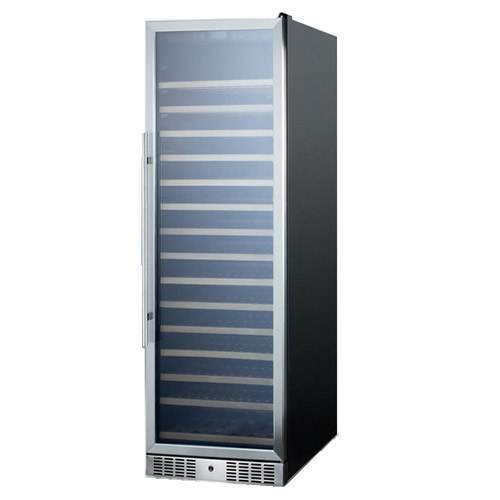 Let your beloved wine collection shine being put on elegant display. 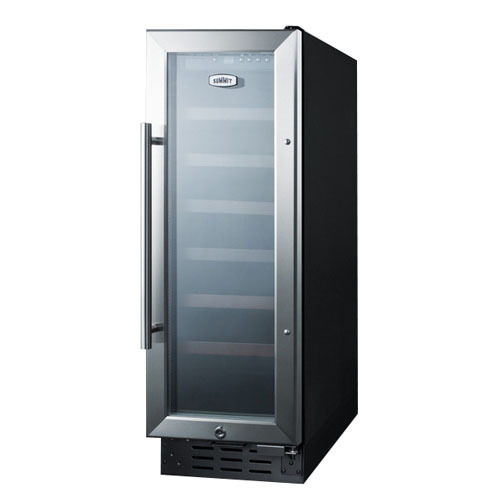 The Summit 15 Built-In Seamless Stainless Steel Wine Cellar (CL15WC) offers 3.2 cubic feet of storage on 6 wooden racks, this wine cellar is easily operated with digital controls and display. 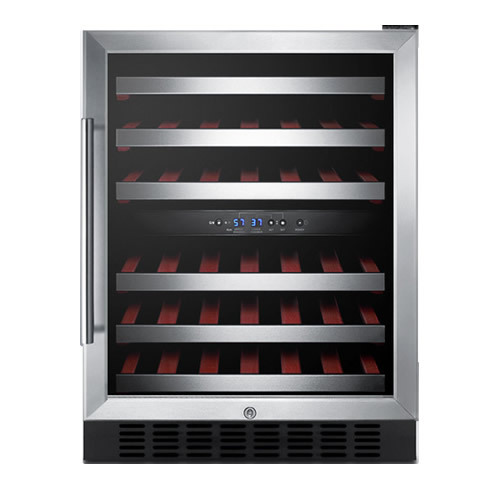 This energy-efficient wine cellar is 100-percent CFC-free and even features audible temperature alarms. 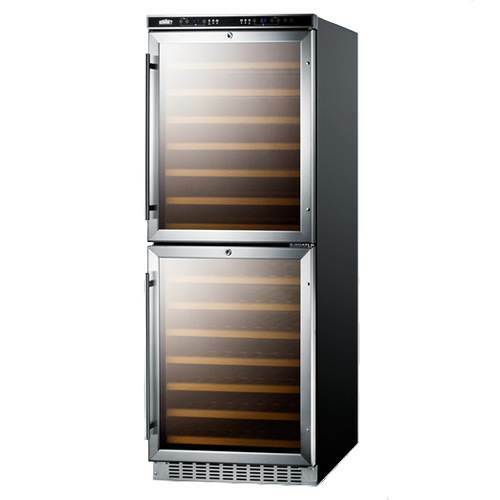 With either freestanding or built-in installation, this wine cellar has an elegant modern style with its stainless steel cabinet.Easy: Offering 3.2 cubic feet of storage on 6 wooden racks, this wine cellar is easily operated with digital controls and display.Smart: This energy-efficient wine cellar is 100-percent CFC-free and even features audible temperature alarms.Elegant: With either freestanding or built-in installation, this wine cellar has an elegant modern style with its stainless steel cabinet. 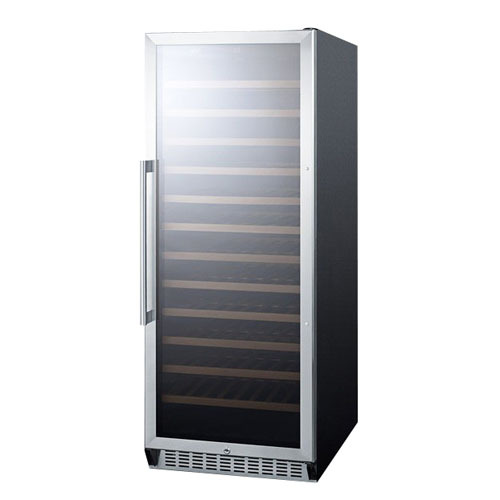 Let your beloved wine collection shine being put on elegant display. 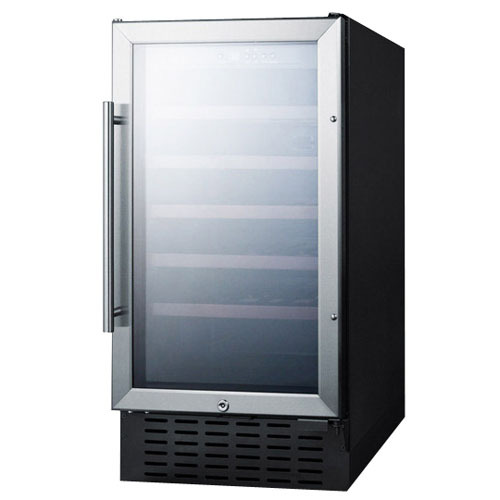 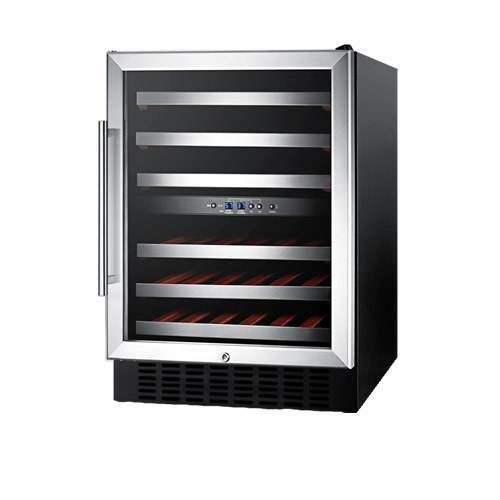 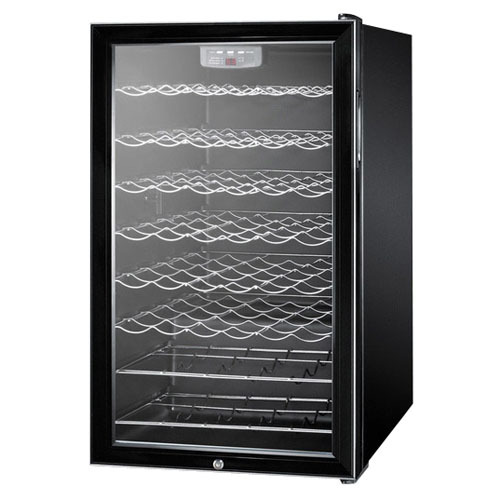 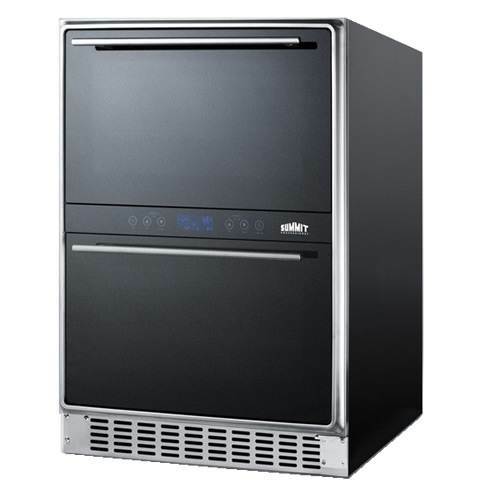 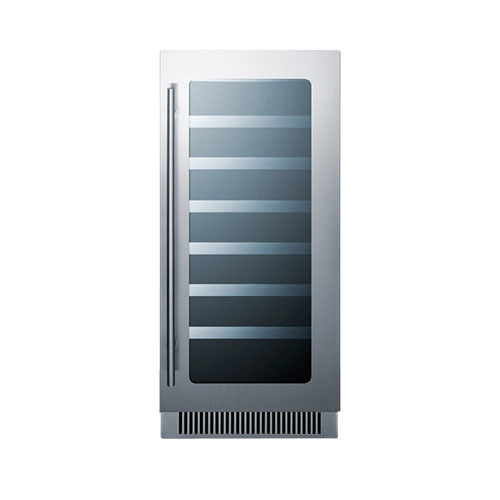 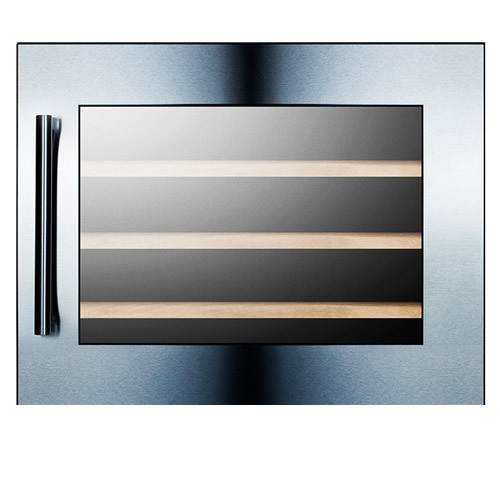 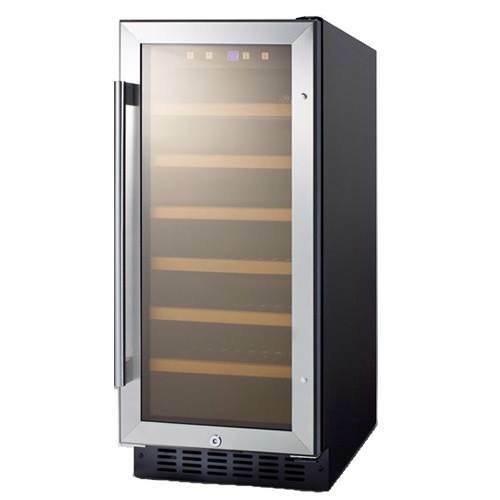 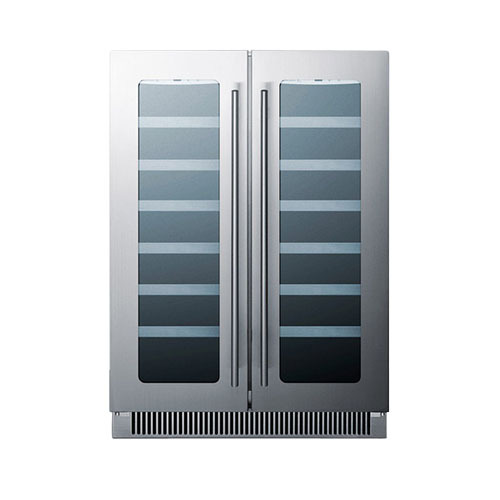 The Summit 24'' French Door Seamless Stainless Steel Wine Cellar (CLFD24WC) offers storage for 42 standard wine bottles on 12 wooden racks and 2 independent temperature zones, this wine cellar is easily operated with digital controls and display. 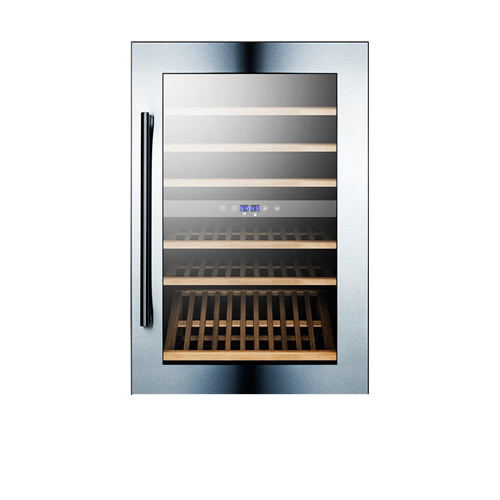 This energy-efficient wine cellar is 100-percent CFC-free and even features audible temperature and open-door alarms. 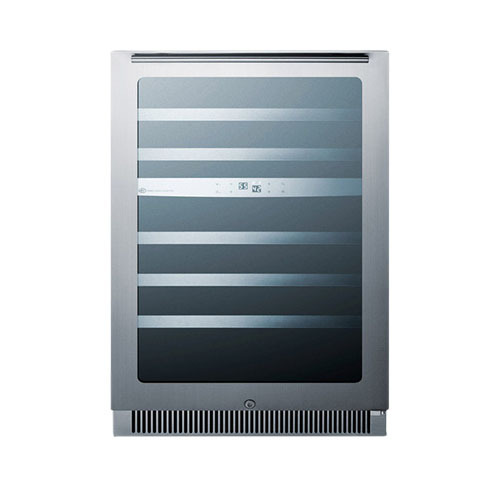 With either freestanding or built-in installation, this wine cellar has an elegant modern style with its stainless steel cabinet.Easy: Offering storage for 42 standard wine bottles on 12 wooden racks and 2 independent zones, this wine cellar is easily operated with digital controls and display.Smart: This energy-efficient wine cellar is 100-percent CFC-free and even features audible temperature alarms.Elegant: With either freestanding or built-in installation, this wine cellar has an elegant modern style with its stainless steel cabinet. Let your beloved wine collection shine being put on elegant display. 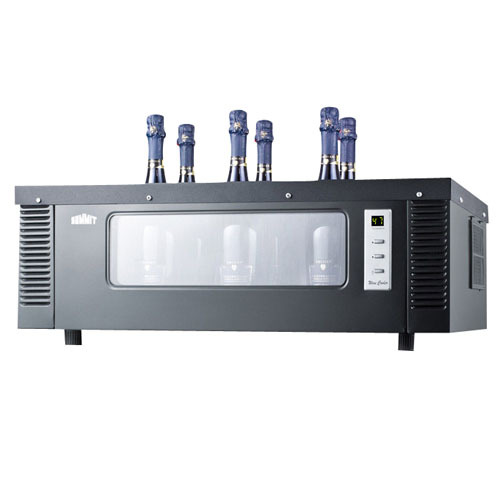 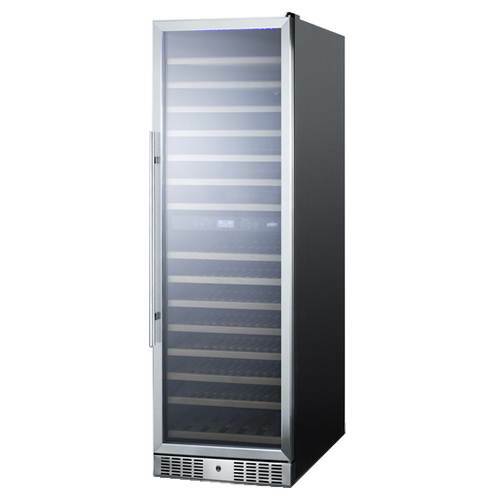 The Summit 46 Bottle Dual Zone Seamless Stainless Steel Wine Cellar (CL24WC2) offers 5.4 cubic feet of storage on 5 wooden racks and 2 independent temperature zones, this wine cellar is easily operated with digital controls and display. 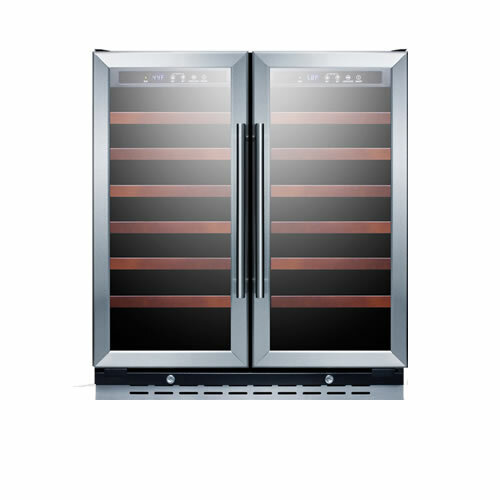 This energy-efficient wine cellar is 100-percent CFC-free and even features audible temperature and open-door alarms. 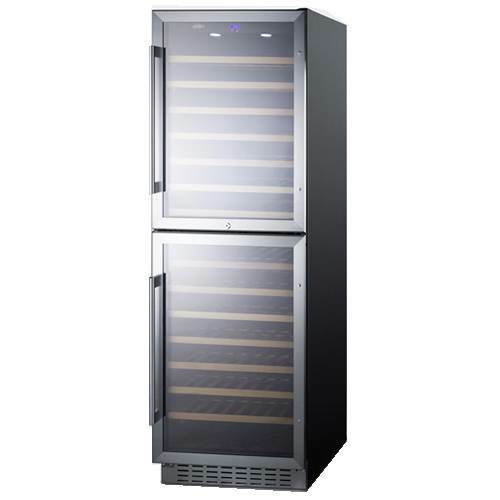 With either freestanding or built-in installation, this wine cellar has an elegant modern style with its stainless steel cabinet.Easy: Offering 5.4 cubic feet of storage on 5 wooden racks and 2 independent zones, this wine cellar is easily operated with digital controls and display.Smart: This energy-efficient wine cellar is 100-percent CFC-free and even features audible temperature alarms.Elegant: With either freestanding or built-in installation, this wine cellar has an elegant modern style with its stainless steel cabinet.